It's Wednesday. We're halfway there. What the hell though, this week has been rough. I feel like it's been a week of a million Mondays. At work we're launching a new site and it's hectic. So I needed some happy pictures to make me smile. I hope they brighten your day also! 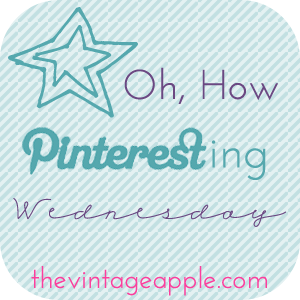 Linking up with Christianna of The Girl With the Blue Bow for What the Hell Wednesday and Michelle of The Vintage Apple for Oh How Pinteresting Wednesday! I LOVE that owl! So cute. I also love the last picture. I hope your week gets better! Okay, the owl and the puppy are my favs haha, typical. :) Hope this week gets better for you! These are all wonderful pins! I hope that your week goes better from here on out! It has to, right? I think this week has been crap fro everyone though, so you're not alone! that owl is adorable & i love me some vamps. did you hear this week is a rerun? :/ im sad. i love that first image, and then i realized it was all coffee. Like it even more! I want that baby basset hound immediately. PRECIOUS!!! oh my gosh that puppy with the long ears is just so cute! i want to pick him up and squeeze him but not too tightly and give him plenty of kisses! I saw the basset puppy and started flipping out! sooooo cute! Did you pick a watch or what? I'm seriously dying with anticipation. I have a similar silver watch but its old and from Guess. The tortoise is soooo Michael Kors. Oh man, I might need to get it for myself. The coffee bean owl is pretty much the most genius pic, ever. The last picture is just wonderful. And the puppy is too cute! I LOVE the coffee bean owl!